If you're a teacher, trainer, speaker, coach, or entrepreneur who is passionate about building an extraordinary business teaching and inspiring others, you're in the right place! Each week, we immerse you deep in the exciting world of online teaching with in-depth interviews, advanced training, tools and more to help you build a profitable online business that enriches the lives of others. So you get the cutting-edge skills and strategies you need to transform your expertise into inspirational, high-impact training courses and programs that sell. 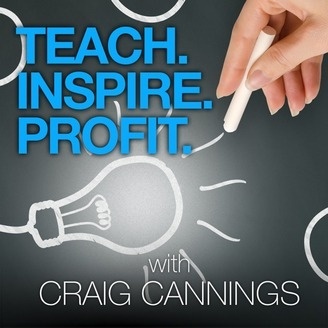 Join us at teachinspireprofit.com to sign up for a free course and more! I always get excited when the subject of creativity comes up. Creativity brings richness and beauty to our lives, and drives the forward progress of mankind in every field of endeavor. Without it, life would be cold and empty and hardly worth living at all! 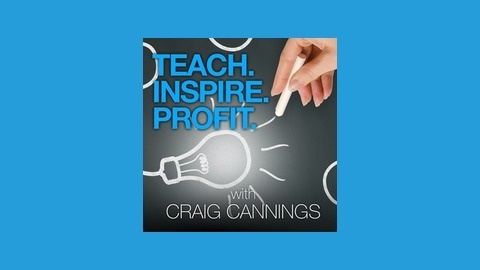 That's why I'm so excited to bring you this episode of the Teach. Inspire. Profit. podcast where I hopped on a live Blab event for nearly an hour with my good friend and podcasting expert, Doug Foresta. It was a totally unscripted chat about creativity, where it comes from, and how to unleash it in your life and business.